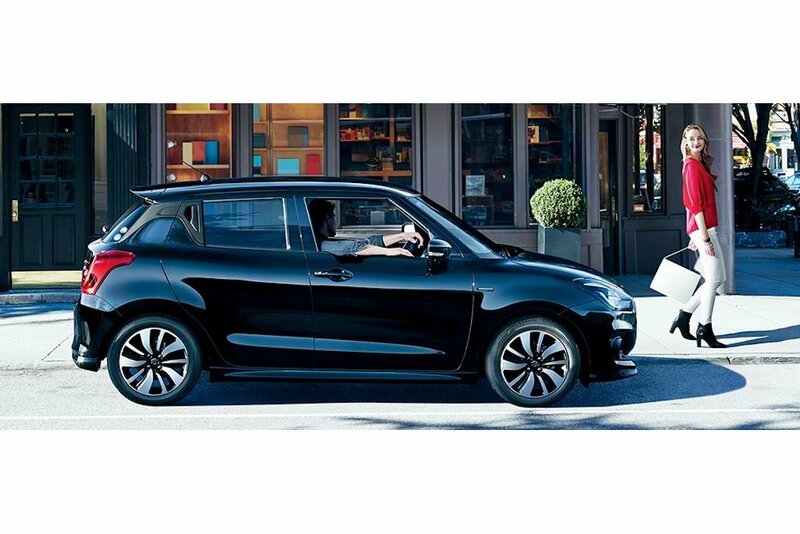 The last time the world has seen an all-new Swift, it was 2004. Selling more than 5.3 million units worldwide, it has become a global strategic model for Suzuki. A full decade later, the small car specialist has finally pulled the wraps off the all-new Swift and it’s looking good as ever. 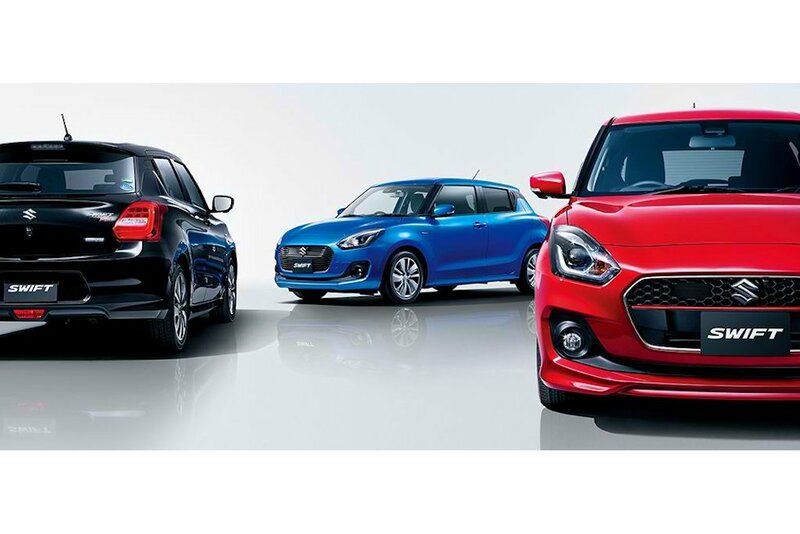 Though the overseas model will be unveiled officially at the Geneva Motor Show in March, the Japanese model Swift is set to go on sale next week and this one will form the basis of the eventual global model. 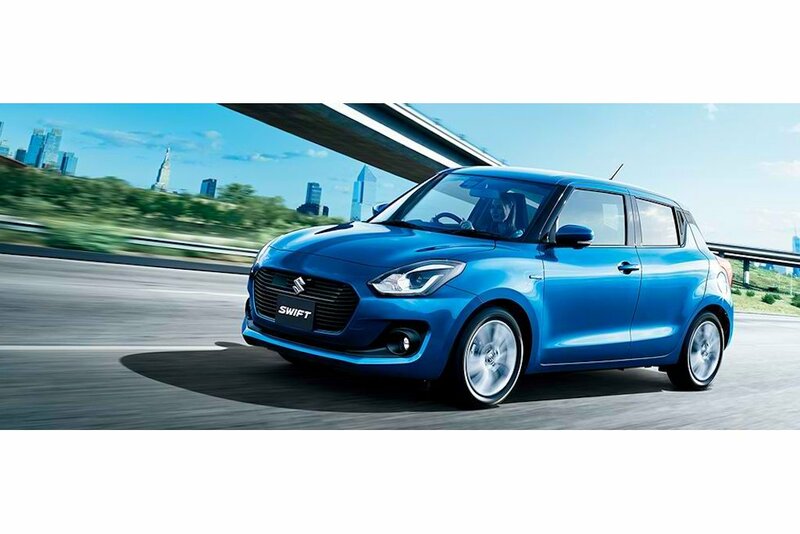 Continuing its predecessor’s panache of offering a distinctively sporty style, the all-new Swift is slightly shorter in length (-10 mm) and height (-30 mm), but offers a longer wheelbase (+20 mm). It’s noticeably rounder with more curves than creases and angles. 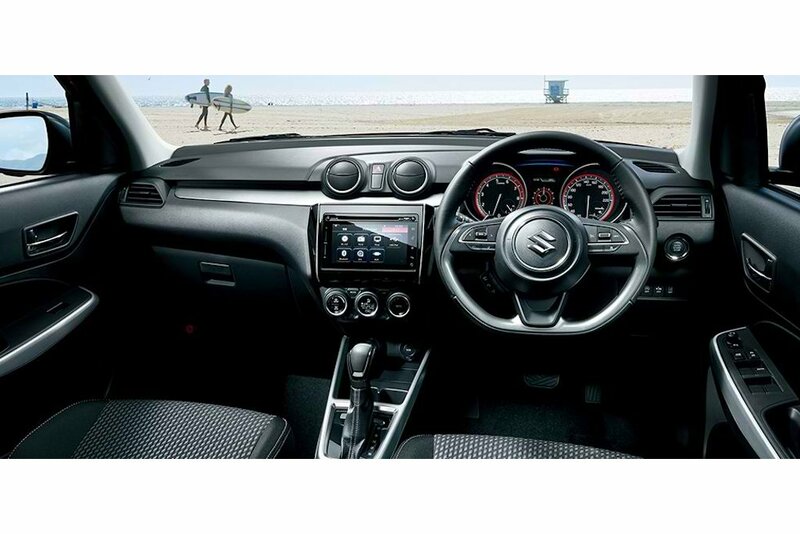 Upfront, it has Suzuki’s new distinctive hexagonal grille, pushed out beyond the larger headlights. From the side, the “hidden” rear door handles blend to the rear hatch creating a floating roof effect. 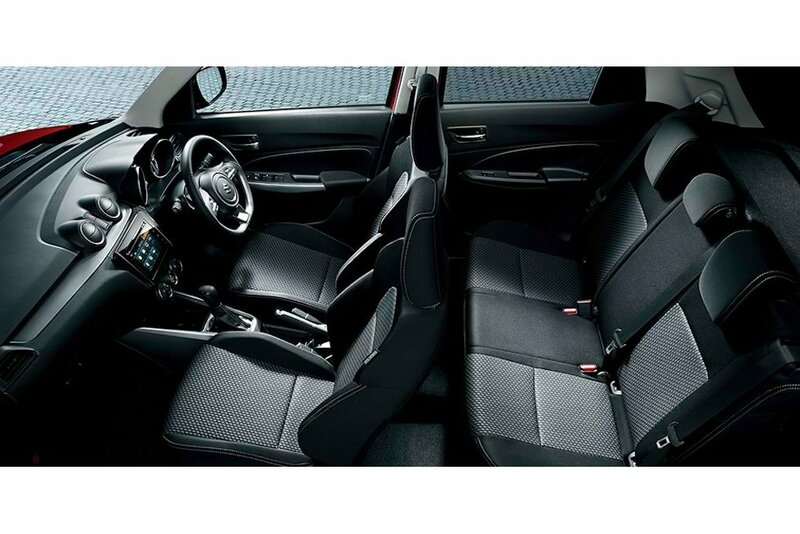 The cabin keeps that sporty vibe intact with vertically-resting gauges that sandwich a multi-information display system. It shows not only the usual fuel economy data, but also an accelerometer, a G-force meter, and a power/torque meter. A flat-bottomed three-spoke steering wheel, sporty seats, and a multimedia system that supports both Android Auto and Apple CarPlay complete the interior upgrades. 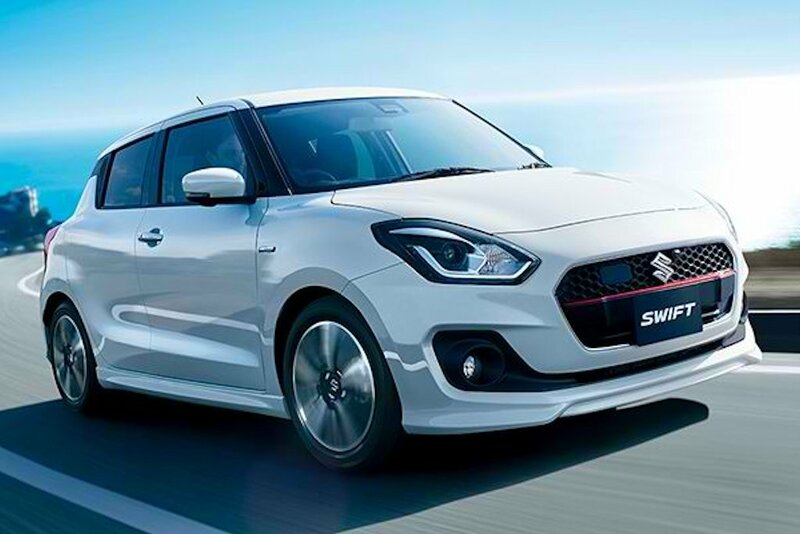 In addition, the Swift now offers tilt/telescopic adjustment to its steering column along with a wider range of movement for the driver’s seat. 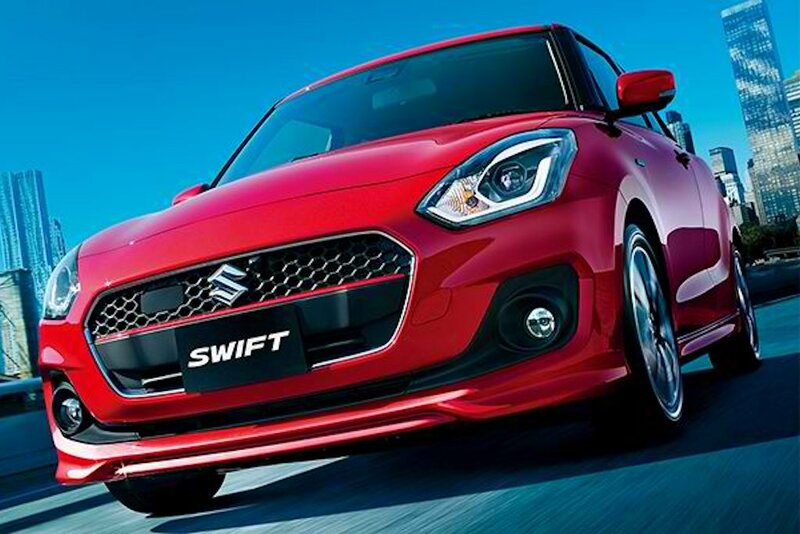 The big news for the Swift is the application of Suzuki’s rigid new-generation platform dubbed “HEARTECT”. 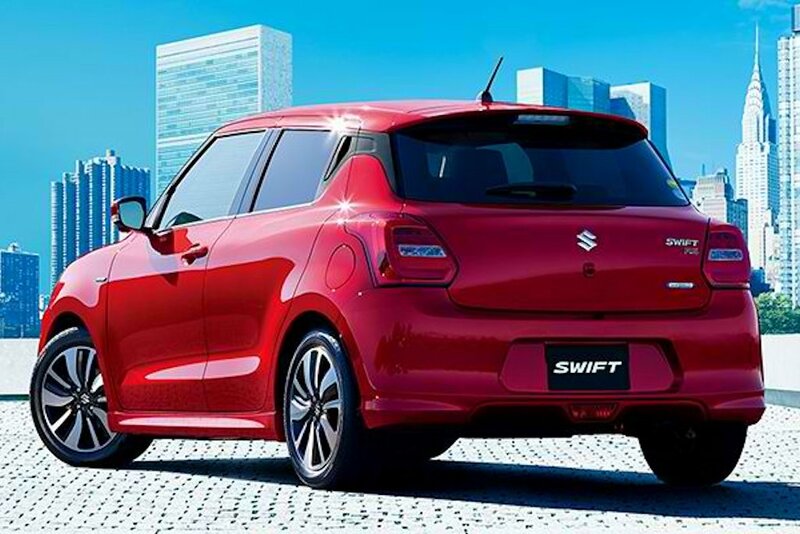 This has made the all-new Swift up to 120 kilograms lighter than its predecessor while providing for improved performance and comfort. Paired with this new platform, Suzuki is offering a variety of gasoline engines for the Japanese model Swift. The base engine is a 1.2-liter DUALJET engine that has a high thermal efficiency. This lightweight engine produces 89 horsepower and 120 Nm of torque. It comes with either a 5-speed manual or a CVT. The sportier variants get a boosted 1.0-liter 3-cylinder engine that can run on regular unleaded fuel. The K10C engine produces 110 horsepower and 170 Nm of torque. A conventional 6-speed automatic is paired with this engine. Keeping the Swift safe is a myriad of safety technology available as the optional “Safety Package”. This includes the Dual Sensor Brake Support (DSBS) collision-mitigation system that uses both a monocular camera and laser sensor. The same monocular camera offers high beam assist that automatically switches between high and low beam according to the vehicle’s surroundings. There’s also adaptive cruise control as well. Very nice. But subcompacts are too small. What if a truck struck from behind because here in the Phils they buy cheap fake brake pads and it's out of brake. It's scary, if you have family at the back. I tend to stay away from those pesky trucks and buses as much as possible, but I cannot stay away from those pesky motorcycles. when will it be released in cebu? The rear and some elements in the interior looks cheap, but at least they improved it all around. Better with sharks fin antenna. How is Suzuki after sales? ANyone? Generally OK, but I think you need to choose your service center carefully. In my case first few visits were OK, but my latest visit was terrible. Anyone knows the price of the 2017 Swift A/T, please? Based from the current SRP of the 1.2 AT which is 678K, prepare to shell out above 700K for this new generation model when it arrives. Still, price should be lower than the AT Vios E.
This is the type of car only girls or pansies would buy. It looks so feminine. Will this be even avail here in PH? Gaaah, which one to get? Swift Manual at 638php so we can save lots on insurance, maintenance, etcetera. Or should I follow my heart and get the nissan juke?